Road accidents involving commercial trucks occur just about every single day around the United States. Accidents with these vehicles are usually devastating due to their sheer size and the cargo they carry. Injuries people sustain after being in an incident with these trucks are typically life changing and particularly serious. In many cases, fatalities can occur as well. The statistics of commercial truck accidents shows how dangerous these collisions can be in comparison to accidents with regular cars. Trucks can weigh up to 80,000 pounds, which shows just how severe an accident with one can be, even if the other vehicle is a larger SUV or passenger truck. Knowing these statistics can potentially help to keep you safe while sharing the road with a commercial truck. While there are a number of reasons why truck accidents can occur, there are two in particular that are the chief causes. First, the weight of a commercial truck, up to 40 tons, is a huge cause of truck accidents. The second chief cause of commercial truck accidents is the amount of time it takes for such huge vehicles to stop. It takes much longer for a truck to stop even if it’s traveling at a moderate speed. Even traveling at only 40 miles per hour, a commercial truck may move 45 feet more than a regular car when braking before coming to a complete stop. Additionally, a regular car needs only 306 feet to stop after braking, but a commercial truck requires 525 feet. Of course, the faster the truck is moving, the longer it takes for it to stop. This can sadly result in an accident and lead to very serious injuries and even death. According to the Federal Motor Carrier Safety Administration, commercial truck accidents have resulted in an increase of fatalities from one year to the next. More than half of those accidents involved a rollover. Sixty-one percent of all accidents involving a commercial truck involved only two vehicles and 21 percent of commercial truck accidents involved multiple vehicles. Many truck crashes occur due to vehicle failure, fatigue or falling asleep at the wheel, impaired driving, following too closely behind another vehicle and overcompensating while steering evasively. Additionally, environmental factors, vehicles and drivers can also play a part when a commercial truck gets into an accident that results in fatalities. This is the case even when those other factors have not contributed to the crash itself. Another statistic involving commercial truck accidents relates to the injuries suffered by the victims. The injuries a person can sustain as a result of these accidents can vary depending on the severity or intensity of the crash. Generally, most accidents involve neck and spine injuries, broken bones, head injuries, soft tissue damage and even organ damage. In some cases, there can even be an explosion that results in a fire if the commercial truck is carrying fuel or corrosive materials. Burn injuries are very serious and can result in lifelong disability or even death, especially if the victim develops an infection. Freeways and interstates are the roads on which commercial truck accidents occur the most. In 2014, those areas accounted for the second-highest incidence of fatalities involving a crash with a commercial truck. Only nine percent of these accidents occurred on smaller roads. According to the Insurance Institute for Highway Safety, the majority of accidents involving commercial trucks occurs between noon and 3 PM. Meanwhile, the safest time for trucks to travel on the roads was between midnight and 3 AM. If you have been injured in an accident with a commercial truck, you need to get in touch with a personal injury attorney immediately. It can help you to recover the compensation you deserve for your medical expenses, damages, pain and suffering and ongoing care. 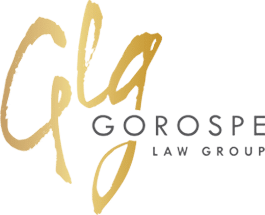 If you or a loved one has suffered a personal injury , The Gorospe Law Group personal injury law firm in Tulsa, Oklahoma can assist you to help you claim the compensation you deserve.